School Teachers, Camp Counselors, Extension Agents, Environmental Educators and anyone who wants to educate the next generation about conservation steward-ship and land ethics are encouraged to attend this workshop. 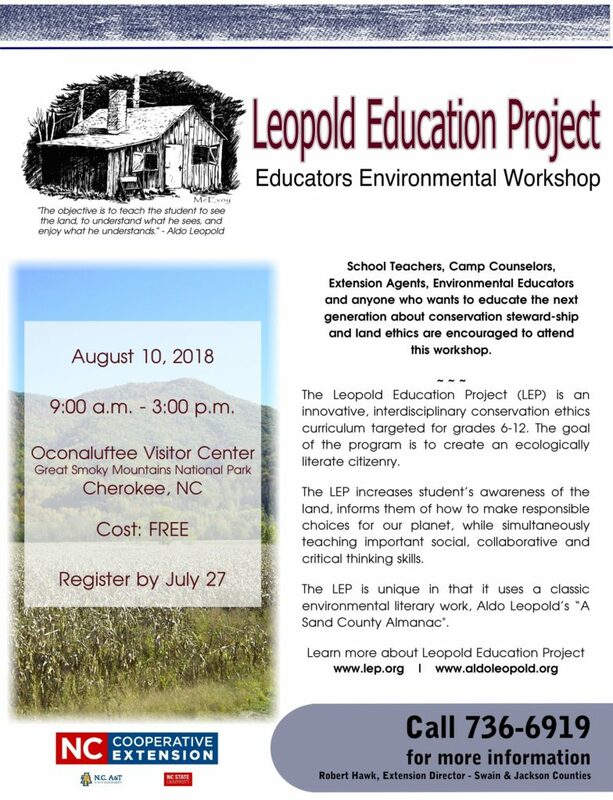 The Leopold Education Project (LEP) is an innovative, interdisciplinary conservation ethics curriculum targeted for grades 6-12. The goal of the program is to create an ecologically literate citizenry. The LEP increases student’s awareness of the land, informs them of how to make responsible choices for our planet, while simultaneously teaching important social, collaborative and critical thinking skills.